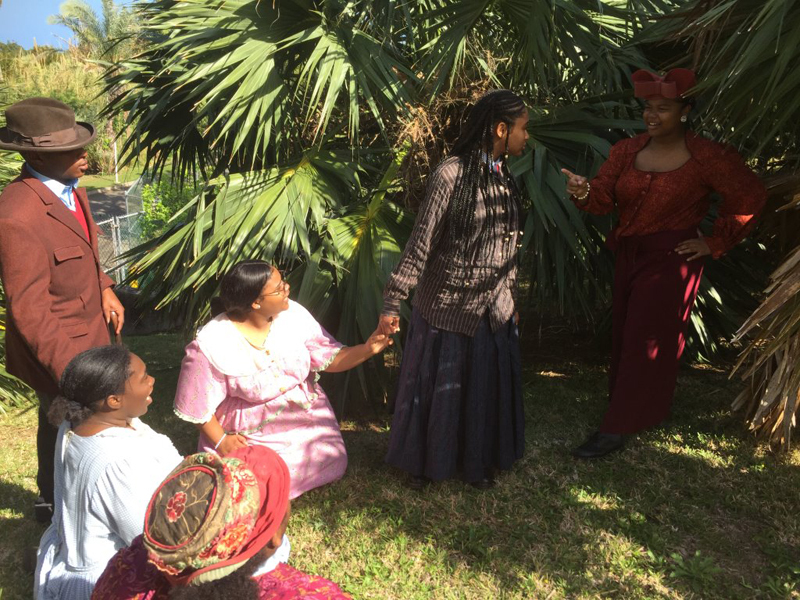 “Trek” is a CedarBridge Academy student driven production culminating Black History Month with performances of excerpts from Chained on the Rock, The Mary Prince Story and Ashay! Bermuda Black History Stories for Children. This interactive production will offer an Ethiopian Buffett, teach the audience Swahili, and provide them with an opportunity to learn about Black History in Bermuda. “You will feel like you came to a Broadway production,” said Patricia Nesbitt, Director of Performances and the Drama Teacher at CedarBridge Academy. “It’s interesting because it’s entirely different from a play. A play has dialogue and actions but with a book they must use their imagination,” Patricia Nesbitt the director of this production said. The main characters for this production are Shadae Lee- Mary Prince [S1] and Tonya Ottley Peets- Sally Bassett [S4]. Tamiko Douglas will also be performing, and the lighting is done by students Kalen Jones, Zhaire Adams and Joshua Harney. Other productions put together by Patricia Nesbitt and the Noire Theatre Youth Company at CedarBridge Academy are: The Fashion Show , Show Off [Talent Show] and Loud Souls [based on Rupi Kaur, poet]. The Noire Youth Theatre Company [Where Children Play] is a group of students who formed their own theatre company so that young people can have an opportunity to become involved in the performing arts. 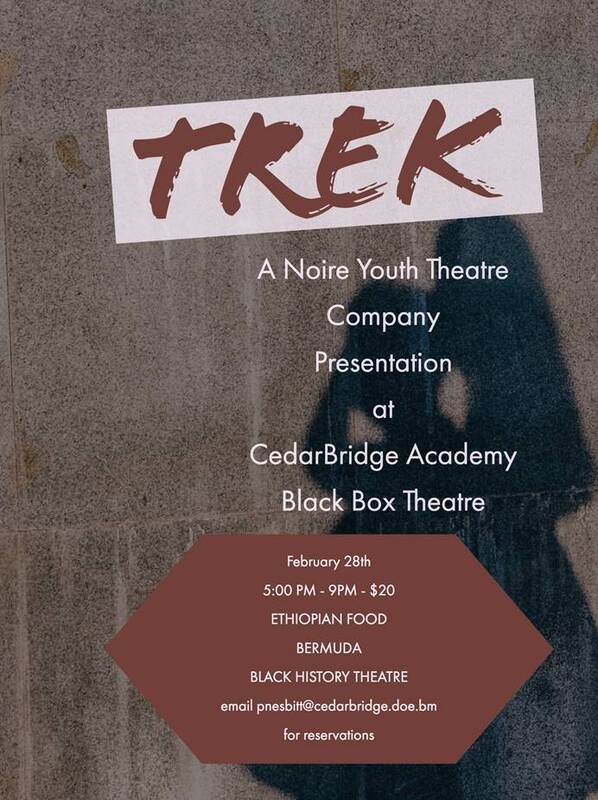 Trek will take place on February 28, 2018 in the Black Box Theatre at CedarBridge Academy. Tickets for the production are $20. The event which takes place from 5 to 9 pm has limited seating. Contact Mrs. Nesbitt at pnesbitt@cedarbridge.doe.bm to purchase your tickets and reserve your seats.